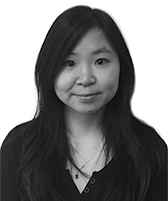 With the recent opening of Avtrade’s new office in Guangzhou, Avtrade is pleased to announce the appointment of Xue Wei as Regional Account Manager- North China. Xue Wei has held various account management and customer service roles with leading aviation companies in the region. Her wealth of knowledge and expertise will enable her to contribute to the growth of business in the north China region and Guangzhou office. Xue will be responsible for detecting new business development opportunities in the North China Region. She will also be focused on building and maintaining first class, high quality relationships, customer service and support and achieving growth throughout the region.